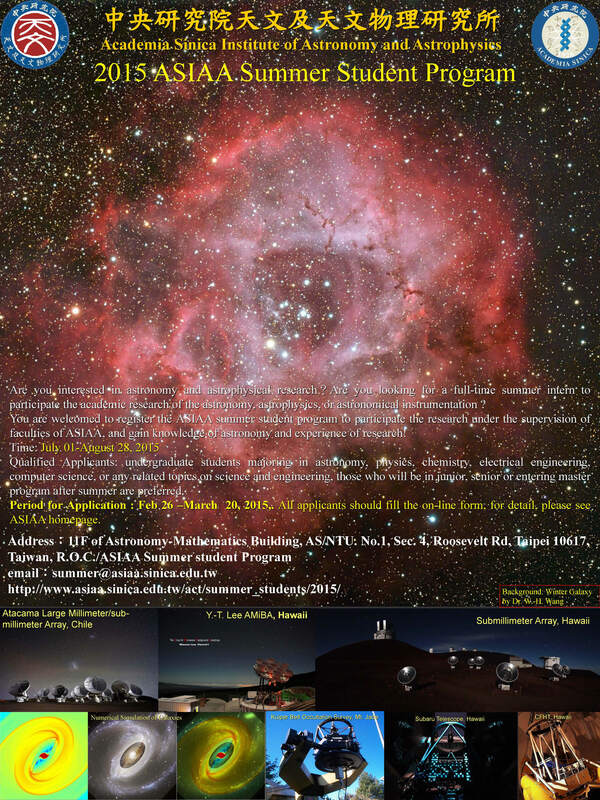 I’m a postdoctoral fellow at the Institute of Astronomy & Astrophysics at Academia Sinica (ASIAA) in a Taipei, Taiwan. As part of the 2015 ASIAA Summer Student Program, we’re looking for an undergraduate student to come to Taipei for the summer, from July 1st-August 28th, to work on Planet Four related research. Last year, Chuhong Mai participated in the program and helped get the map project information we need to make the final catalogs for the first Planet Four paper. As a result of her efforts last summer, Chuhong is going to be co-author on the paper. You can learn more about her experience at ASIAA and as part of the summer program here. ASIAA operates in English, and all research will be conducted in English. The description of this year’s project can be found here. The aim will be help develop tools to look at wind directions based on the Planet Four fan markings for one of the HiRISE targeted regions (likely Inca City or Manhattan) and see how fan directions change from year to year. Details about the Summer Student Program including rules and restrictions can be found here.